Sharing a little something different today. Beyond taking photos for other people, I take a lot of pictures documenting my own life. These are the pictures, the people, and the places, that make my heart sing, and they are the reason I love photography. Although my client work is a reflection of my own personal style, there's something different about it, can't explain it. So I have decided to dedicate a blog a week to my personal documentary photography. 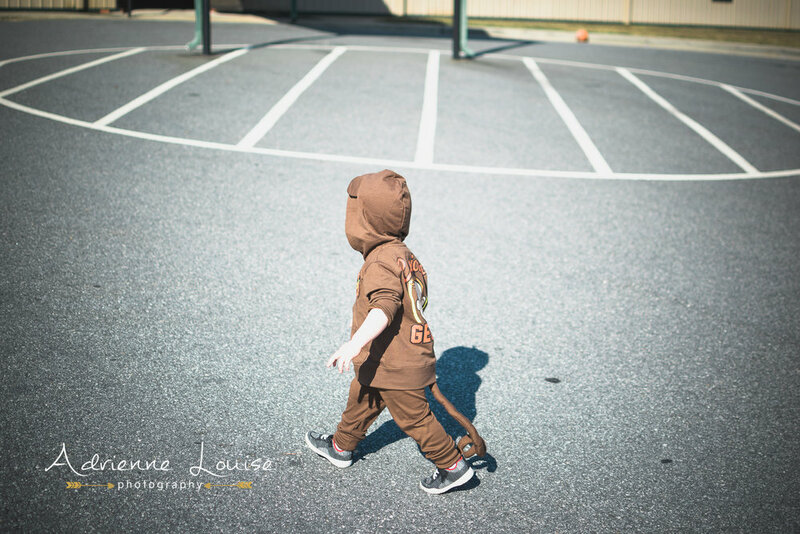 This year marked the second Halloween for our little guy! This year was much more excited than last, mostly because he could walk, and he has enough teeth to actually have a piece if candy. Which is all he had one bite, mommy & daddy ate a few pieces, and the rest were recycled into the pillowcases of the late night pre-teen crowd that came for tricks or treats. We made a whole weekend of it! 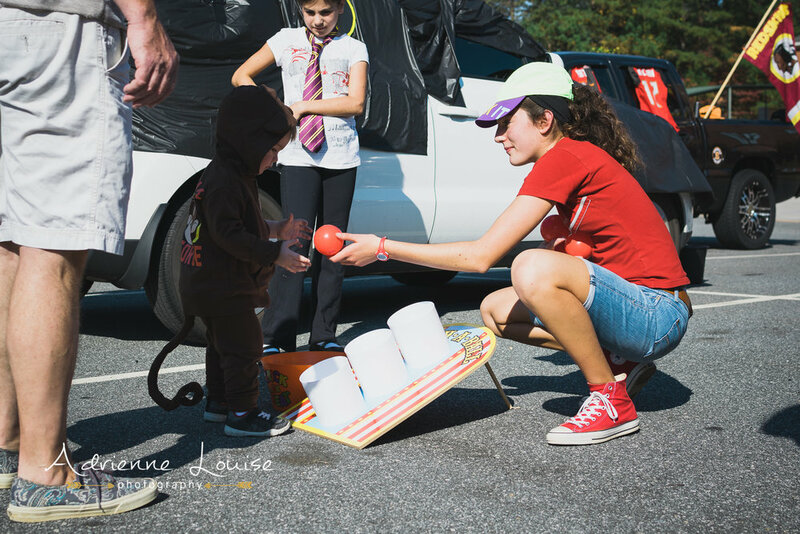 We went to our churches trunk-or-treat, visited family on Sunday evening, and strolled the cul-de-sac halloween night. His costume was a big hit! 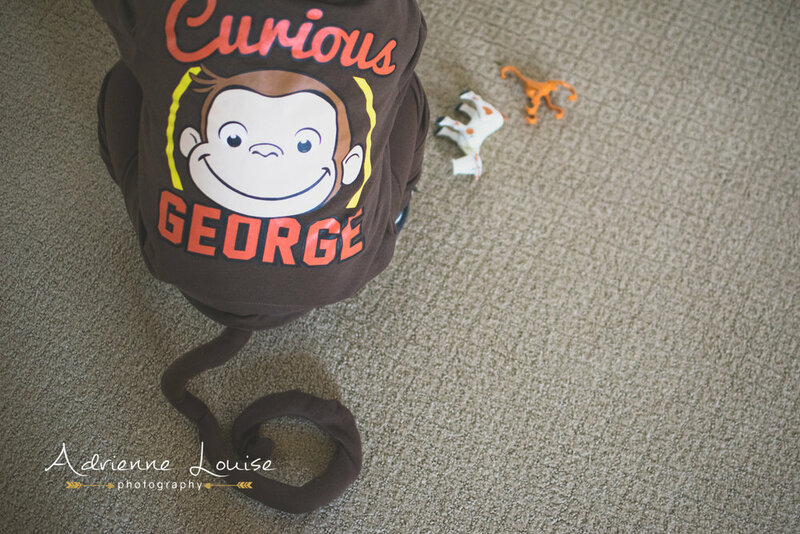 He loves Curious George, so we bought the hoodie, his aunt made him the pants/tail and the very popular banana bag!